Do you hear scratching sounds near your attic? Do you see animals running around your yards? If so, then there might be an existence of squirrels those are causing damage to your property valuables. Like raccoons, these creatures are such a havoc which must be tackled on time. Their longtime presence is a big disaster as they give birth to several baby squirrels. 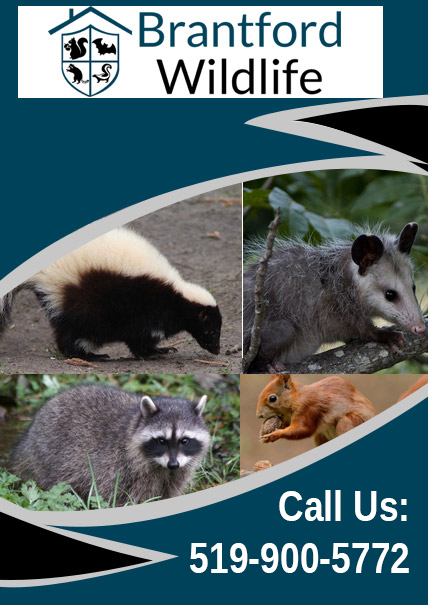 Rather than wasting your much time, it’s better to call a professional Brantford wildlife removal service for the quick inspection. We are a leading squirrel removal company which ensure permanent elimination of these wild creatures including baby squirrels. Our squirrel controllers in Brantford are expert in identifying the entry points and relocate these creatures permanently. We tend to perform every successful practice to protect your home from wildlife intrusions. Why Is Squirrels Presence Nuisance? Once the squirrel start living in attics of the home, then no one can stop them from causing damage to home’s wiring, stored valuables as well as the roof. The big reason behind their disruption is continually growing teeth which allows them to chew all the property essentials. Apart from causing excessive damages, these wild creatures are also well-known for spreading diseases like rabies which can cause a serious health hazard. Why Choose Our Squirrel Removal Service? Our results are permanent and guaranteed. We have a backup of experienced squirrel removal practices. Our expert wildlife controllers can quickly resolve all squirrel problems. Looking For A Quick Squirrel Removal?